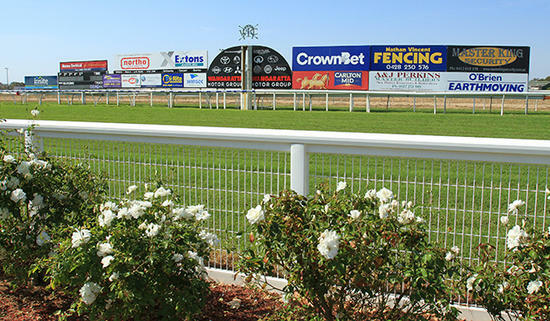 The Wangaratta turf club will hold and nine event card on August 28 with the track currently rated a heavy (8), though fine conditions are forecast. The first of the Craig Widdison runners will see Charlie's Hero compete in race three in a maiden plate over 1400m with Nick Souquet aboard jumping from barrier 2. Charlie's Hero has only competed three times in his career & resumes here second up, after finishing seventh of 11 at Wodonga over 1400m, when working hard early eventually crossed with a positive pace introduced, but was found wanting late. He should be a likely improver 2nd up after a long absence of 318 days before the last outing. The final stable runner will enter in race five with Baby Zara to compete with a field of seven to run, with the back-to-back winner to be ridden by Brooke Sweeney over the 1400m trip. Baby Zara is in fine form at the moment, winning two in a row both at Wodonga. She boasts early speed and is stepping up sharply in grade after winning, she looks the likely leader and given the way she's racing of late will again prove hard to dismiss.